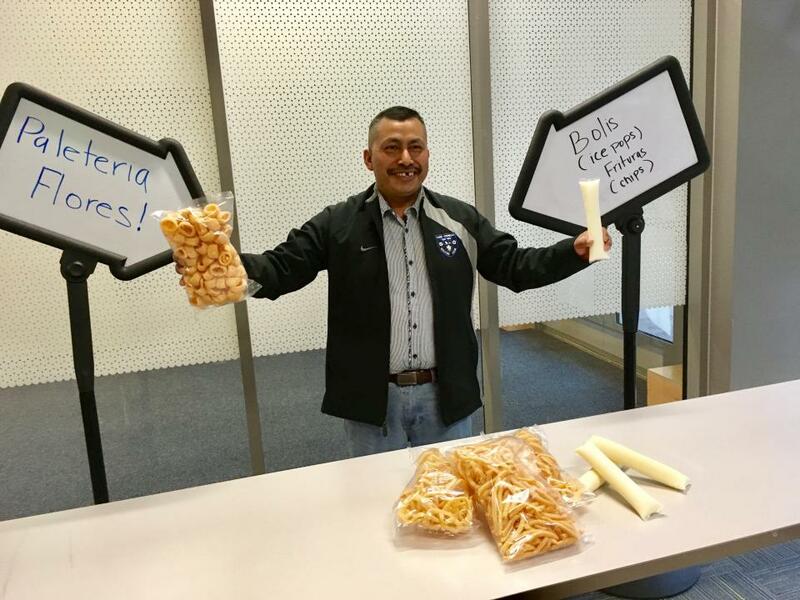 A loan of $3,000 helped a Mexican immigrant and cancer survivor create logo and improve packaging of my Bolis (ice pops) and Frituras (Chips). My name is Eugenio Flores I was born Veracruz Mexico. I moved alone to the United States in 2002, to find a better future for my children in Mexico. I worked in landscaping for 5 years when I was detected with multiple myeloma cancer in 2012 on my right leg. The cancer was removed from my leg in 2013, but the cancer spread to other parts of my body. On April 7th 2016 I was able to get a bone marrow transplant, to remove some of the cancer in my body. As of now I feel much better and I am still going through chemotherapy. Due to my cancer treament, I had to figure out how to support my financial needs, so I started selling Ice pops and Frituras in 2016. I started my business out of necessity, living here alone I had to support myself financially. When I was a child, I was able to learn from a neighbor, who I would help sell Bolis (ice pops) and Frituras (Chips). I started making Bolis last summer and my neighbors and church members really helped me bring my business to life. They would order Bolis and Frituras from me every Sunday after mass. I noticed that I enjoyed talking with people and the routine of making this snacks for people to enjoy. With this loan I will use the money to pay for my logo and packaging costs of my Bolis (ice pops) and Frituras (Chips). The labels will help my products gain more recognition. The loan will also go toward a down payment of a van that will help me distribute my product. I will use $1,000 for my packaging and $2,000 for the down payment of my van. Why are you endorsing Eugenio? Eugenio came to Adelante Mujeres very determined to open his business last June 2016. He joined our small business class where he learned more on how to start his business and started connecting with mentors. Eugenio is very ambitious and hard-working he has gone a long way since we first met him. He is connecting with local Mexican stores where he will be selling his products. We are very excited to see the success he will have in the future.